Tag Archives: Will it ever be finished?! It seems like we have been caught up in stuff lately and we haven’t been able to make a lot of progress on the deluxe shed. Last weekend we spent all day Saturday doing stuff so I thought I would share an update. The electrical installation passed inspection. It’s around a 3 week wait for the electric company to run the line from the pole to my meter but I am on the list now! That will make many things different and easier as we work on the place. Eventually we will add more solar and make a run at being off-grid or rather, grid tied but a net producer, but that will have to wait. 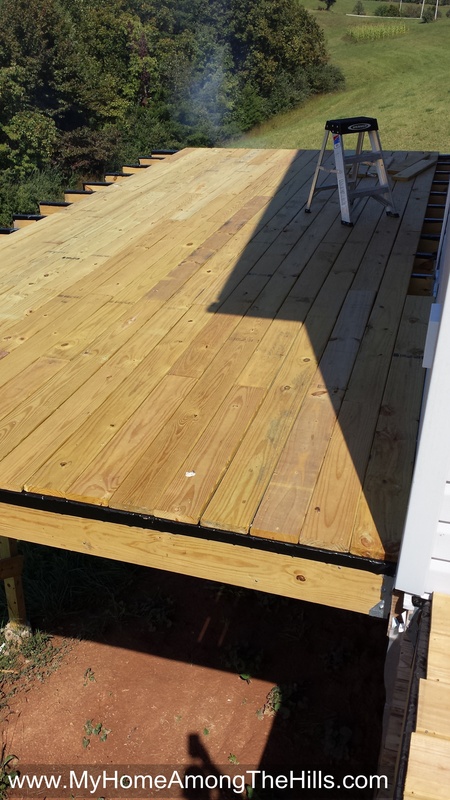 Now that the decks are mostly up (but there is still a lot to do…like hook them together and add a railing), we can finish a lot of the outside work we have been putting off. In particular, at the rear of the building, the floor is 9 feet off of the ground. Without a deck, installing the door and siding was going to be a real drag. I mean, I added the sheathing and built the walls, etc clear up to the peak (around 30 feet in the air) without a deck, but I decided I would not be doing that any more work on the back without a deck. 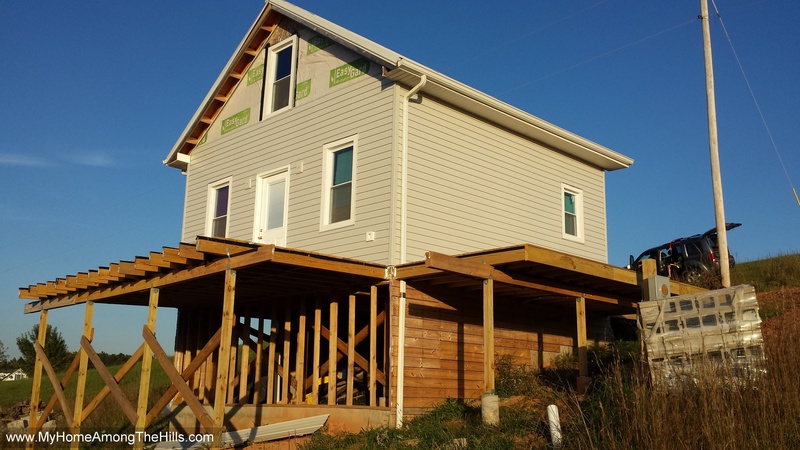 Windows and doors and siding, oh my! 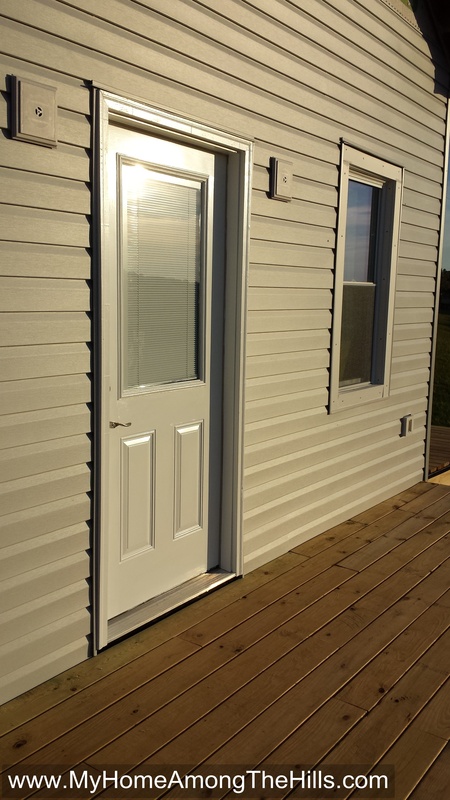 So, with the deck in place, we installed the back door and are about to finish the siding. It’s amazing how much nicer the siding makes the back of the place look. It was pretty well protected from the weather by the house wrap but its lifespan has officially passed even though it looks in good shape. A few more hours and we will finish the siding as well as the soffit and fascia. You can notice from the pics that I still have to enclose the area under the house. That has to happen before winter as I now have pipes in place that will freeze without protection. 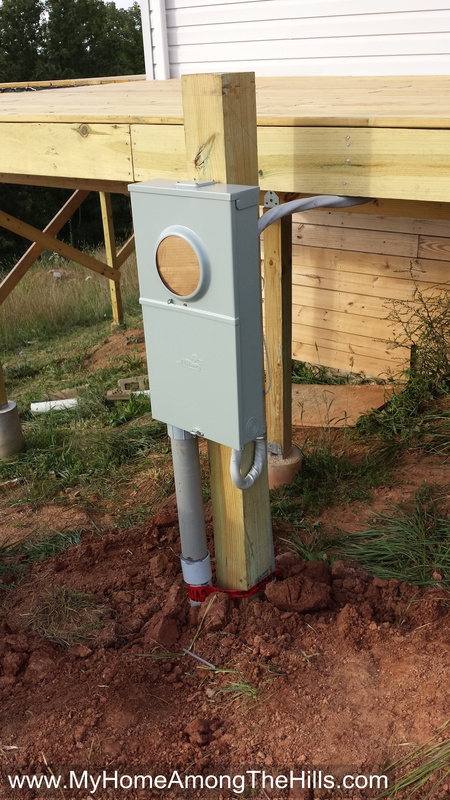 Enclosing that space, adding a door into the “basement” and getting a heat source wired in place are the remaining things that must happen before snow flies. My brother is coming in a few weeks and I plan to take a few days off of work to see how much we can accomplish. I’d really like to get this place to a point that we could actually enjoy it some this winter even if it gets cold! We have the best sled riding hills around!